Blackmagic Video Assist 4K has gained its market share in 4k Recording. Video Assist 4K is one of the most recently released recording solutions by Blackmagic. This recorder is the ultimate affordable 4K recording solution for videographers. Blackmagic products have always continued to offer video and audio production solutions for professionals over time. 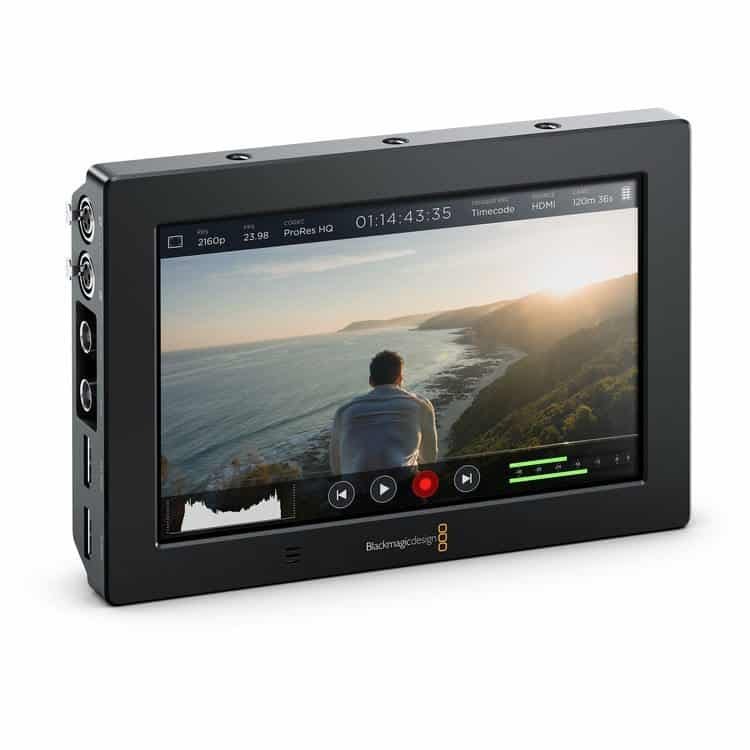 The latest addition to the list of Blackmagic products is the Video Assist 4K, which integrates the latest technology in video recording in a compact and portable camera. 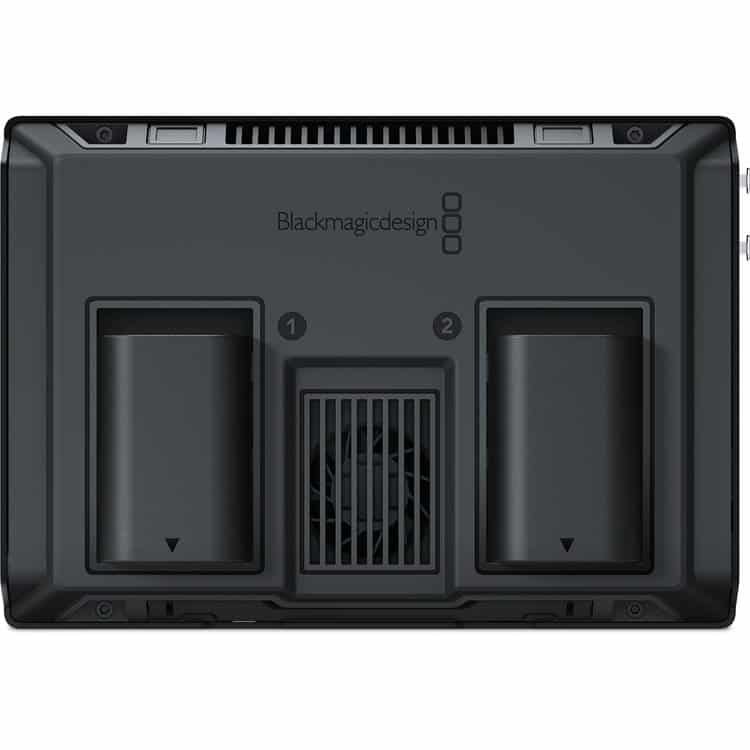 The Blackmagic Video Assist 4K has redefined video recording with its capability of recording in some different formats as well as including its professional production monitor. It comes packaged as the best possible accessory that will help you get extra functionality from your digital camera. Affordable consumer cameras normally operate in small screens and support poor file formats which old camera versions commonly used a custom file or tape formats. The descriptive features of these two camera models made it hard for them to be used professionally. However, with Blackmagic Video Assist 4K, this problem is solved as it is compatible with all types of cameras including DSLRs and cameras based on old tapes. It is an inexpensive and applicable solution that comes with two high-speed UHS-II recorders that can work with some popular and readily available SD card brands and are compatible with readily available SD card readers. Broadcast quality files can be saved in DNxHD or ProRes formats and come with a 10- bit 4:2:2 video. Users can trigger the Start/Stop of recording using HDMI/SDI or LANC. With the Blackmagic Video Assist 4K, you get uninterrupted recording since recording continues automatically to the next card the moment the first is full. The 7″ high-resolution LCD monitor with a touchscreen that comes with a wide viewing angle of 135° makes this model easy to use. With simple taps and swipes, users can change settings of the monitor, display information about the camera and evaluate video and audio levels of recordings. Customers can also have their eyes on the shot as they view audio meters, histogram and timecode as well as current input frame rates. The camera can be powered with a 12V DC input and has two LP-E6 battery slots. Discharging of batteries happens serially and hence the second battery takes full charge when the first one gets drained. 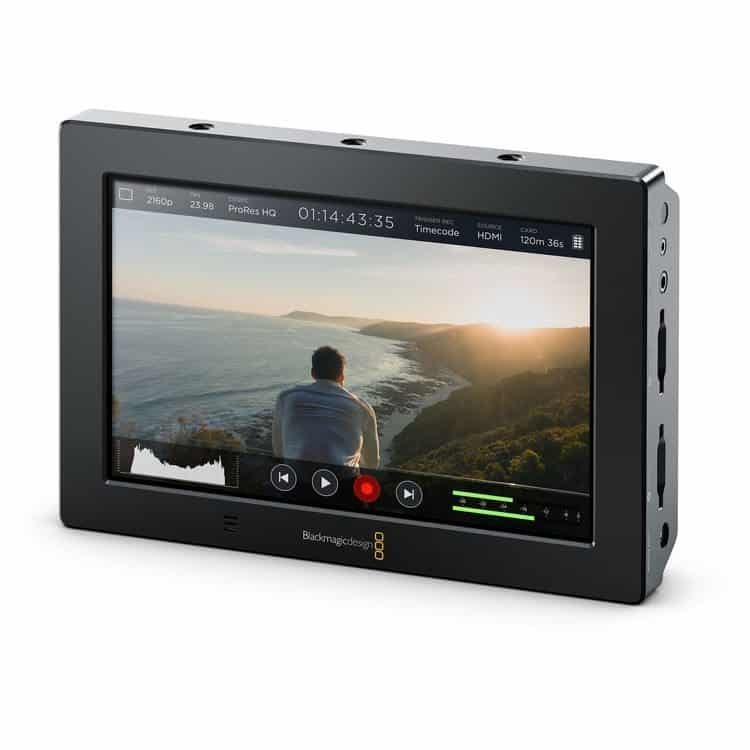 The Blackmagic Video Assist 4K monitor comes with an all in one design that makes it easy to mount cameras, hold the monitor using one hand or setting it up on a table with a kickstand. The monitor is great for outdoor and indoor use and is a durable solution. A good screen with a high resolution is important for capturing cinema quality shots. The Video Assist 4K comes with a large sized screen with a high resolution that makes it easier to focus and frame when shooting. 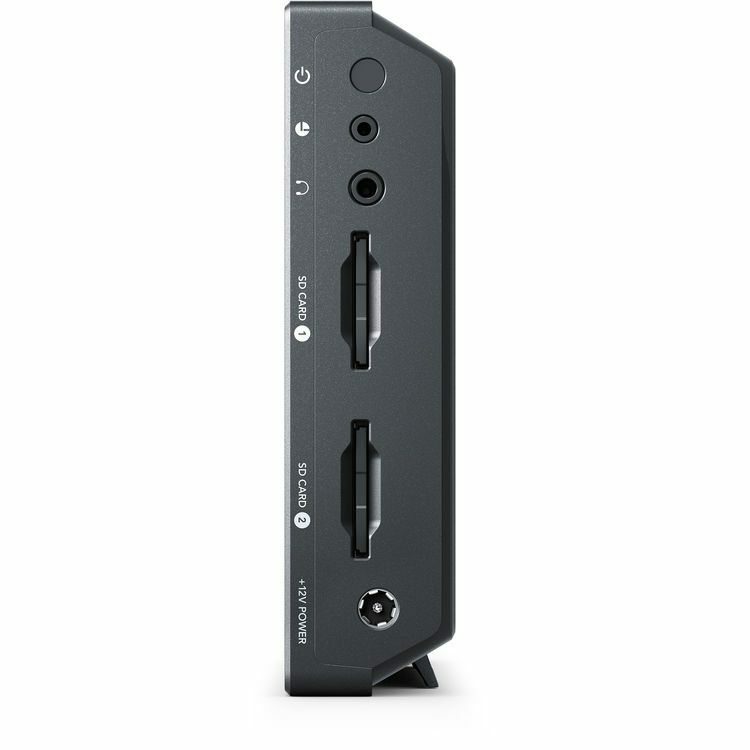 If you own a camera that lacks a recording facility such as the Blackmagic 4K Micro Studio Camera, then the Video Assist 4K is a perfect accessory to pair with such types of devices. It will make it possible for you to shoot and record professional videos as well as audio. 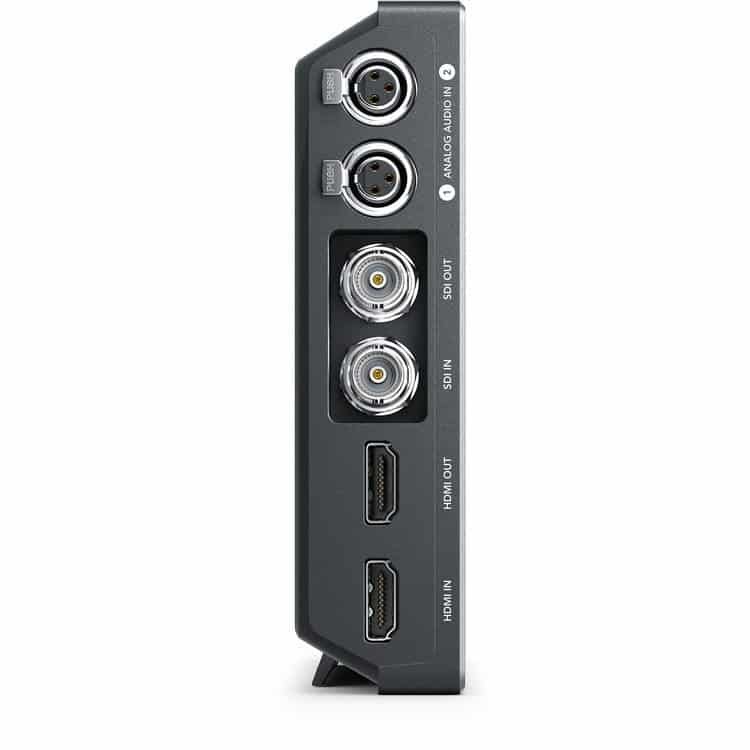 The best part about Blackmagic Video Assist 4K is that it works equally well with different camera brands that support pairing through SDI/HDMI ins/outs. The Blackmagic Video Assist 4K comes with an advanced shutter technology that ensures every moment is captured. It also comes with other capabilities such as allowing for on-set recording, monitoring, and playback. The recorder comes equipped with a super 35 Sensor that is firmly mounted to ensure for rigidity. During use, you will find that the camera is flexible enough to be used in both studio and field production. The Blackmagic Video Assist 4K comes with a number of advanced technical components that enhance its functionality and equally make it an easy to use the recorder. You can control the Video Assist 4K remotely using LANC connection which it is supplied with. It also comes with a 28dBV electrical noise floor which ensures that audio recordings are of the highest possible quality. You can use the Blackmagic Video Assist 4K for recording long or live events non-stop. The recorder integrates dual recorders which ensure there is enough back up just in case on fails. You can also use affordable SD card media with the recorder which allows for high speed, dual UHS-II SDHC recording. You will find the Blackmagic Video Assist 4K to be a good investment especially after learning that it comes with two Mini XLR inputs. This is particularly true if you shoot your videos with a standard DSLR which output poor audio quality. With the Video Assist 4K, you can pip the picture from your DSLR, bypass the audio from the DSLR and input it from your Video Assist 4K recorder. The process is rather easy and will get you feeling like a professional videographer or producer. The Blackmagic 4K camcorder models have become synonymous mainly because of their one attribute; affordability. The Blackmagic Video Assist 4K, which has just been recently released, continues the trend through offering high-end videography solutions at a very competitive price. Videographers will be happy to learn that they can use the Blackmagic Video Assist 4K to record some different formats. Add this to the fact that the recorder is compatible with some different digital camera models and you have a perfect accessory for recording your videos. Visit us today at any of our expandore stores and learn from our experts how you can get the most from your Blackmagic Video Assist 4K and buy one to move your videography experience a level up. Storage Type Removable SDXC UHS-II, SDXC UHS-I and SDHC UHS-I SD cards. Supports DS, HS, SDR12, SDR25, DDR50, SDR50 and SDR104 SD cards. Ultra HD Video Standards 2160p23.98, 2160p24, 2160p25, 2160p29.97, 2160p30. Multiple Rate support SDI and HDMI switches between 270 Mb/s SD , 1.5 Gb/s HD , and 3.0 Gb/s 60P HD plus 6.0 Gb/s 30p Ultra HD. Media 2 x UHS-II SD for Ultra HD, compatible with regular SD for HD recording. Warranty 12 Month Limited Manufacturer’s Warranty. Excluding: batteries and cables which will be free from defects in materials and workmanship for a period of 12 months from the date of purchase.